Ø Trusting Jesus, THE Master, can we ever be handicapped to the point of being without hope? Ø Is ‘extensive training’ a prerequisite for Him to be able to use us? There was a boy who suffered the terrible misfortune of losing his left arm in an accident. The boy was at the age where he was full of energy…and very interested in sports. But as you might imagine, there isn’t much opportunity for a 1-armed guy in basketball, baseball, football or hockey! His parents sensed his despondency…and his need to exercise his high energy level. After prayerfully exploring all sorts of options that became dead ends, the parents chanced to strike up a conversation with a quiet older man…in line at the store of all places! It turns out the gentle-talking man was a martial arts master…and he tutored! He tentatively agreed to give their boy a few workouts. Introductory lessons began…the boy absolutely loved the activity…he loved the sport…he loved the gentle nurturing and wisdom of the master. Before long, a close bond formed between the disciple and the master. The boy was hungry for more! Once a week sessions became two; two became three! After a couple months of training and workouts, the boy saw the advertisement on the bulletin board - a martial arts competition for boys. 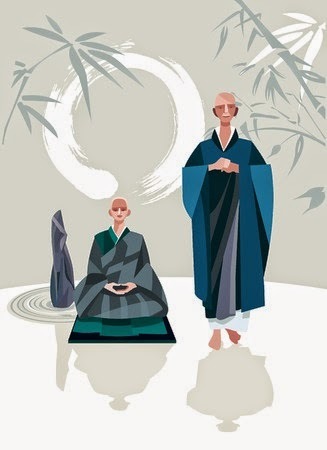 After plenty of begging and cajoling, the master realized his student, his one-armed disciple, would not be satisfied unless he could enter the competition. So at last the master agreed to step up the training regimen to prepare the one-armed boy for actual competition. The date of the competition wasn’t very far out in the future, and therefore the master didn’t have time to teach a whole arsenal of tactics, ‘moves’…so he decided to teach his student some basic defenses…and just one offensive ‘move’. The master promised this regimen would serve the boy well! And…as competition began, the boy did pretty well! In fact, he did great! He knocked off one opponent after another, always using the same strategy - basic defense along with the one offensive ‘move’. Reaching the final match…the championship match, the one-armed boy used the old strategy one last time…and won! His faith in the master had paid off! The master had taken the young one-armed disciple’s sadness and curse…and made it a blessing! Does success come for us only when we have no adversity? Do we grit our teeth and ‘brute force’ some degree of ‘success’ in spite of adversity? Or do we succeed because of past adversity? Friend, YOUR Master, your loving Heavenly Father, knows YOUR inborn talents and abilities. If you let Him, He will place YOU in situations where you will be successful, despite your past! My advice - LET Him! This story is adapted from a joke heard in a tv sermon. the story as long as an attribution bio is included. bs.t.mann is a 50s vintage sojourner for Jesus, and has written dozens of inspirational short stories based on his own true adventures, as well as other works. He lives on a farm in the Canadian Rockies working on numerous projects including two anthologies; he compiles a monthly devotional read on six continents, and is author of the book ‘My Dance With Diane’. He is an ordained minister, founder and operator of a prison ministry, a retired coach and one time university professor, with a BS from Duke, MS from George Washington, and has completed a variety of seminary level courses.